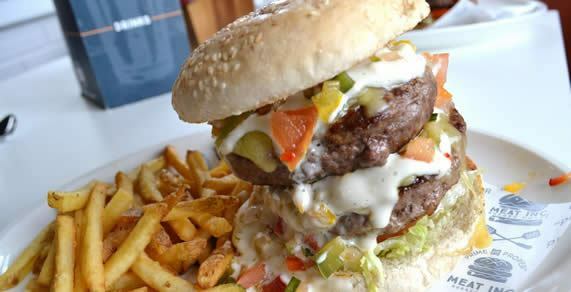 Meat Inc. loves their diners, their environment and their planet and now, they have teamed up with Carbon Free Dining, the United Nations-backed Restaurant initiative. They have chosen to demonstrate their love for the environment by planting trees to offset their carbon footprint. 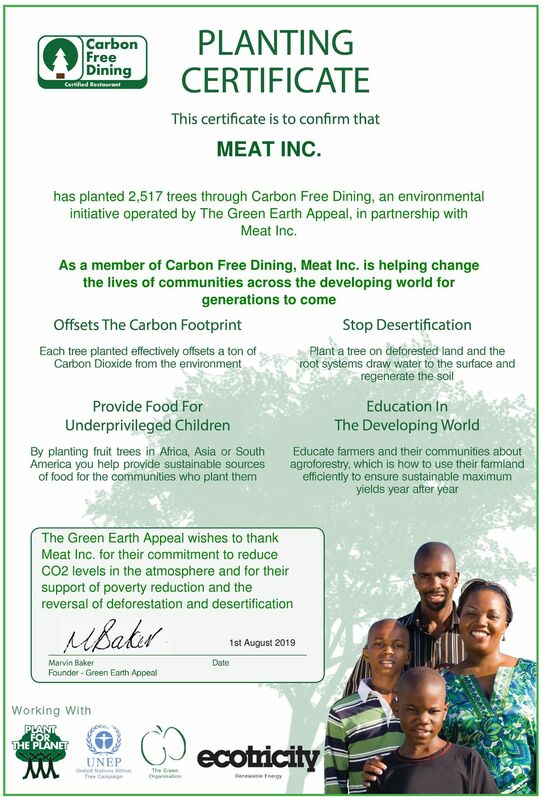 As a Carbon Free Dining Certified restaurant, Meat Inc. plants life-changing fruit trees, effectively offsetting the environmental impact of the meals it serves. This is done by simply giving diners the opportunity of planting a single tree with each bill for an optional 99p.